We have been running successful racehorse syndicates since 2004. Sourcing decent, competitive racehorses is key to enjoying the ownership of your racehorse, but delivering a dynamic and time sensitive service to our shareholders is just as important. A healthy combination of winning racehorses and high quality information has helped us become the most popular internet-based racehorse syndication company. 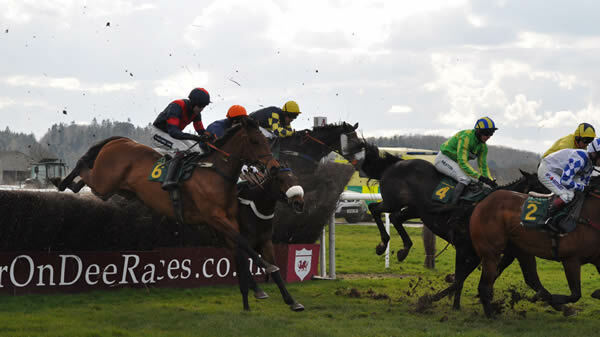 The Racehorse Manager is our online management system. 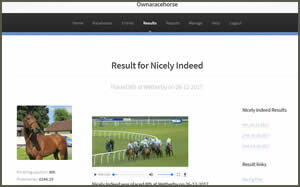 It keeps you up to date with your racehorses, but is far more than just a web page with the odd message on it (which is what many syndicates provide). All of your account information, racehorse entries, declarations and results are contained in your Racehorse Manager. Plus, the system manages your prizemoney earned, badge allocations, racehorse reports, photos, videos and the Ownaracehorse team blogs. It also alerts you by email and text message as well. It's one of the reasons we are so popular. There's nothing quite like visiting your racehorse at the trainers yard. Meet your trainer, stable staff and find out about the yard and other racehorses. We have an exaustive list of the questions and answers most often asked regarding our racehorses and service. It's very likely your query will be covered, but if not you can always call or email us. It only takes a moment to login to your account and access your racehorse information. Our software is responsive, so you can use your mobile, tablet or PC. The racemeeting will be displayed prominently in your Racehorse Manager. You simply click on 'Book Badge' and then confirm how many badges you require. At least a day before the race you'll get an allocation email with all the information you need. We book your badges directly with the racecourse - you simply arrive and give your name at the Owners & Trainers entrance!